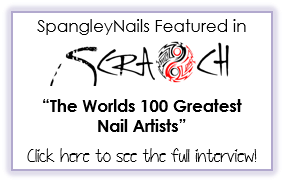 Spangley Nails | UK Nail Art Blog: Great Budget Nail Polish Brands For Under £5! Calling all bargain hunters out there! Where-ever you are in the world I’m sure you’ll agree that nothing beats the fluttery feeling in your tummy you get when you walk out of a shop having spent less than you intended and got a real good deal – everybody loves a bargain! 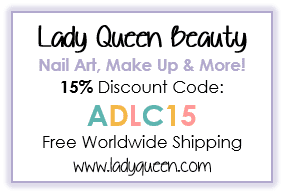 If you’re like me, then you’ll want to keep your nails looking good and your purse feeling good too, so, in this article I am going to bring you 8 great nail polish brands that will keep your digits dazzling – all for under £5.00! 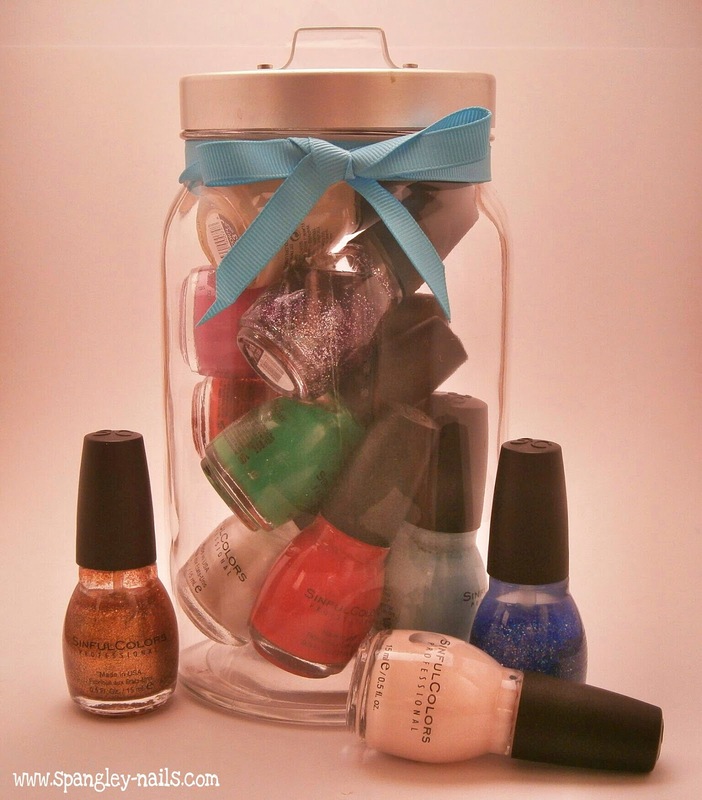 The first polish on the list is the most inexpensive of the bunch, retailing at just £1.00! Yes, you read correctly, 6.2ml of polish all for £1.00. MUA has loads of great on-trend colours across their modest collection and they have the quirkiest of names, from “Frozen Yoghurt” to “Amaretto Crush”. MUA recently changed the packing of their polish from the bold black-lidded bottles pictured on the left, to the fresh white-lidded bottles which makes them look like miniature Essie’s in my opinion. These polishes are fully opaque in 2 coats and with a top coat they last about 2 days – well worth the £1.00 price tag I’d say. The next brand on our list is Sinful Colors, please be rest assured, there is nothing Sinful about purchasing polish from this brand. 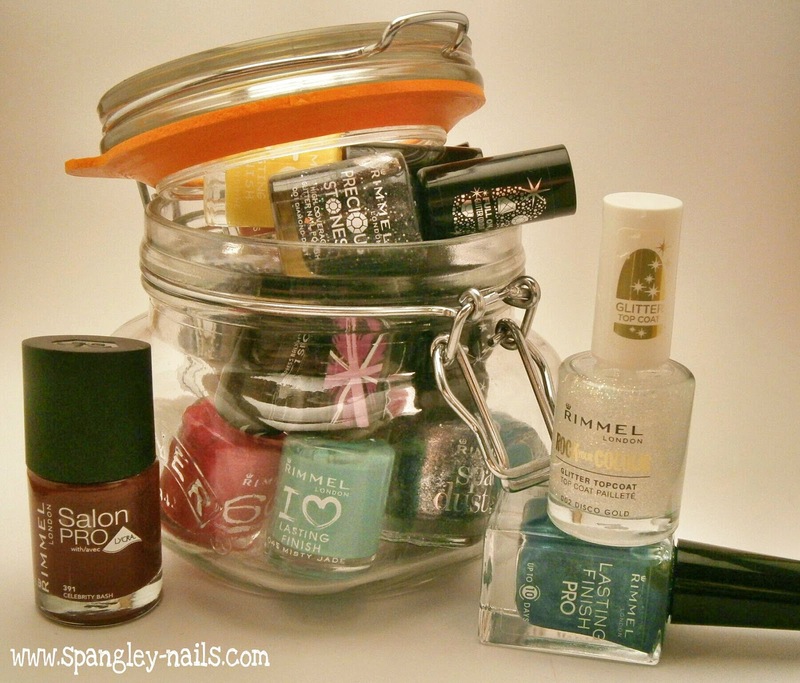 Retailing at just £1.99, these polishes are a total bargain! Sinful Colors is an American brand and has been around in the USA for a while now so you can imagine my excitement when I learned this brand was coming to the UK. I have rarely paid £1.99 for a bottle of Sinful Colors, I usually pick these beauties up at the pound store and I have just under 50 bottles. 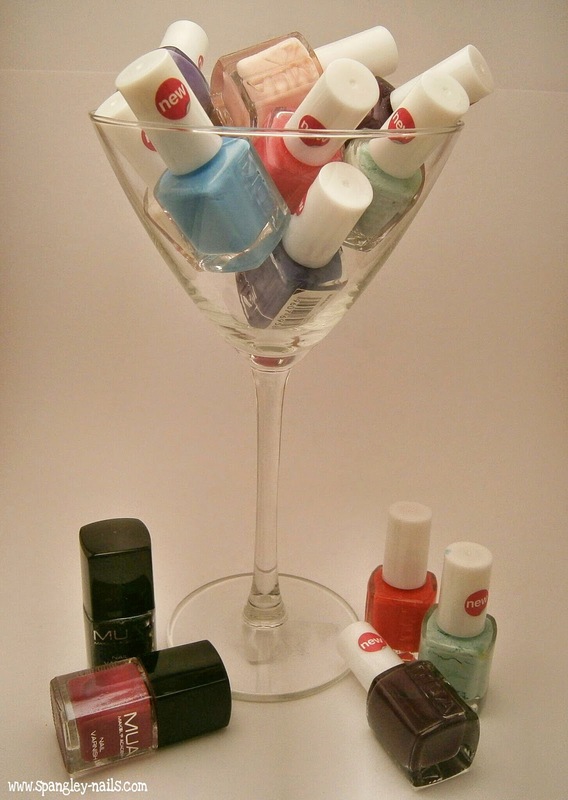 You get 15ml of polish in each bottle, which is again, the same amount you get with OPI. I really think this brand has got a great future here in the UK and I for one will always be a fan. If you are anything like me, you will be happy to wear bright, fun colours on your nails all year round, Barry M does just that. 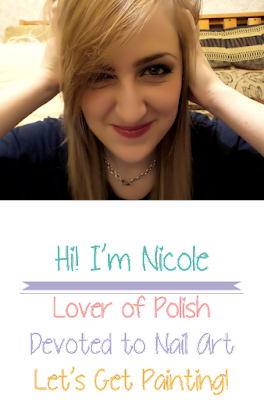 Retailing from as little as £2.99, this fun, quirky brand is everything you could want in a polish. 2 words I would use to describe Barry M is ‘Affordable Luxury’ and I am always very impressed by what they have on offer. 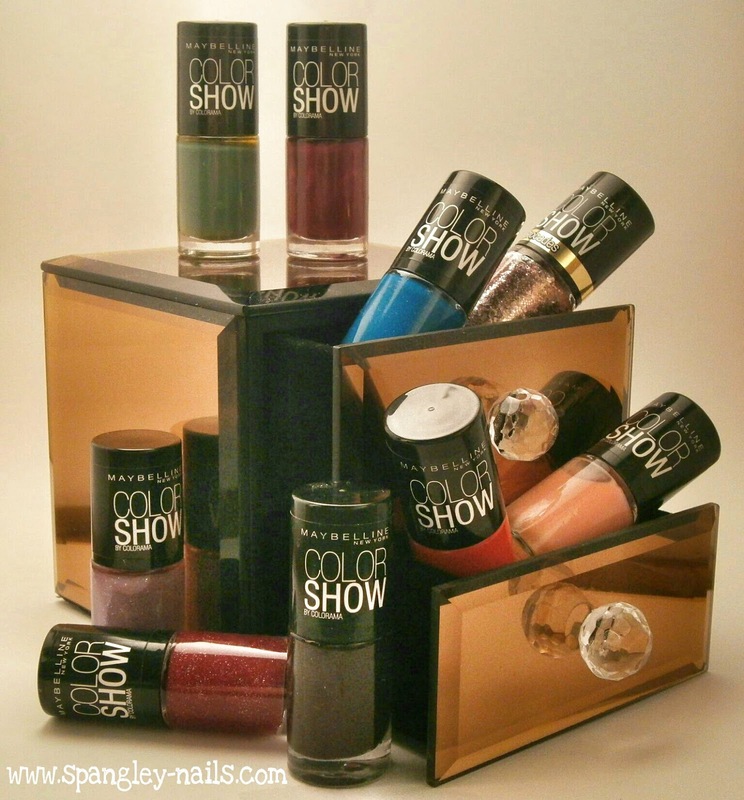 Barry M bring out new collections several times a year and each collection couldn’t be any more different from the last, giving you (the buyer) a huge range to choose from. Most recent collections include a Matte Collection, Silk Collection and now we have an Aquarium collection which is to die for! As far as I am concerned the M after Barry could stand for Marvellous because they are just that! Depending on where you live, there is always an ASDA or a Walmart very close by. 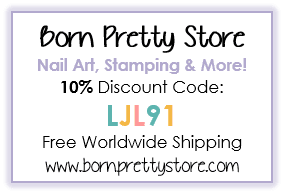 I recently stumbled across their nail polish range and was extremely impressed with what they had to offer. 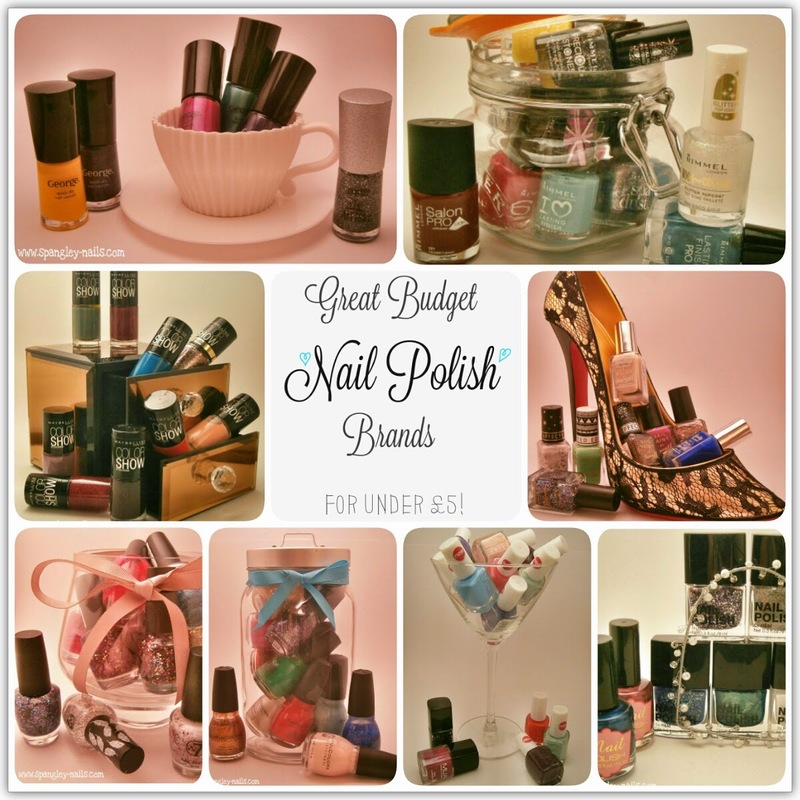 Their polishes retail from as little as £1.75! These 5ml bottles of polish are opaque on your nails after just 2 coats, this can easily rival any the bigger brands. 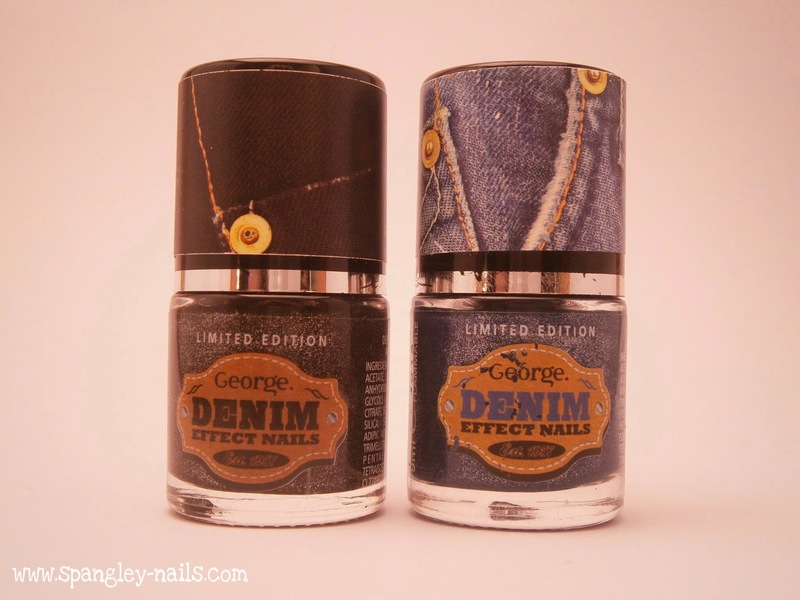 George also brought out their own “Gel effect” polishes and these beauties are opaque in just 1 coat. They have quite the collection of Gel effects for you to grab, there is at least 14 different shades. I have 4 from the collection and each 10ml bottle cost me £3.00. 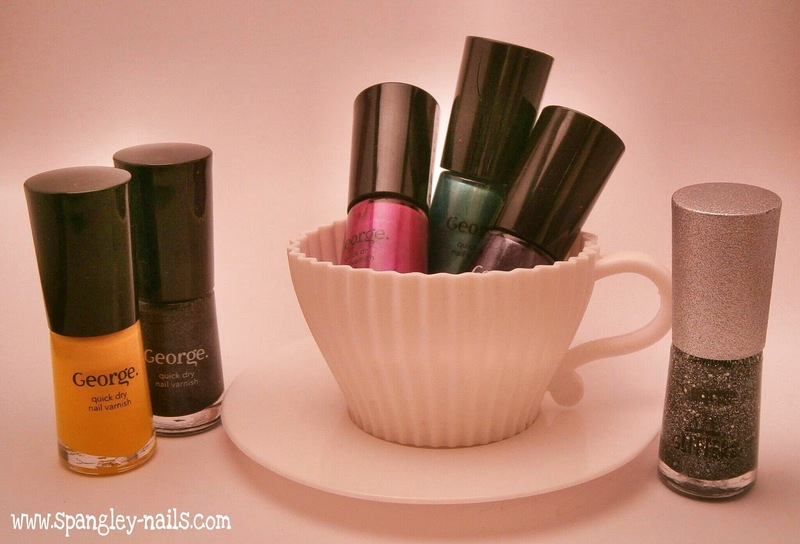 If you get the chance to try a George Nail polish for yourself, then you will see just how good they are for the price. I always wander over to their polish stand whilst I’m in ASDA, it can make your weekly shop just that little bit more exciting. W7 is one budget brand that I think has the most range of collections, styles and colours. This retails on the W7 website for £4.95 but I have never paid this amount for it. I always find W7 in my local Pound Store and B&M Bargains shop. 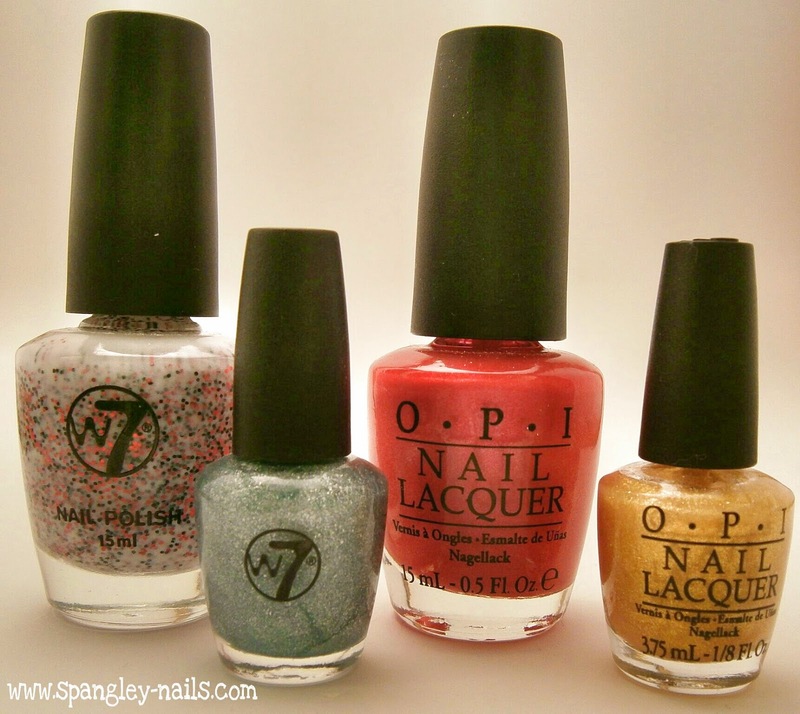 W7 has been dubbed a duplicate for OPI in many ways apart from the price. Both brands have a very similar range of collections, colours and effects, but the most obvious similarity is the packaging. Both bottles hold 15ml of polish and they are almost identical in shape. They even have the same Mini bottles each holding 3.75ml of polish. W7 are always bang on trend when it comes to the latest nail effect too. 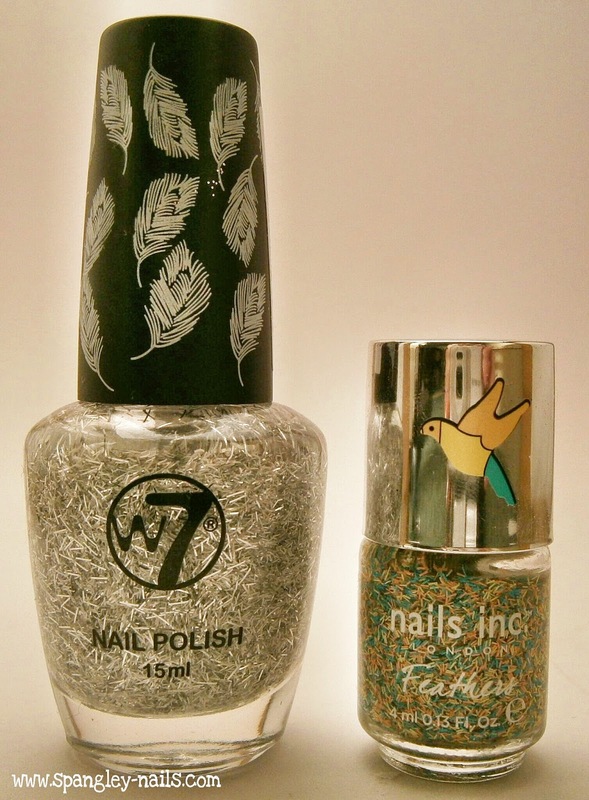 Nails inc recently brought out their Feather range and W7 was right behind them but again at less than half the price. I really feel that you cannot go wrong with W7 and for what you pay the quality and choice is amazing. Just like Rimmel, Maybelline has been around for a while now and is also stocked in all major UK supermarkets, which is great for polish bargain hunters like us! Maybelline have various polish collections, but the one I want to concentrate on is the Color Show polishes which retail for £2.99 for 7ml of polish. 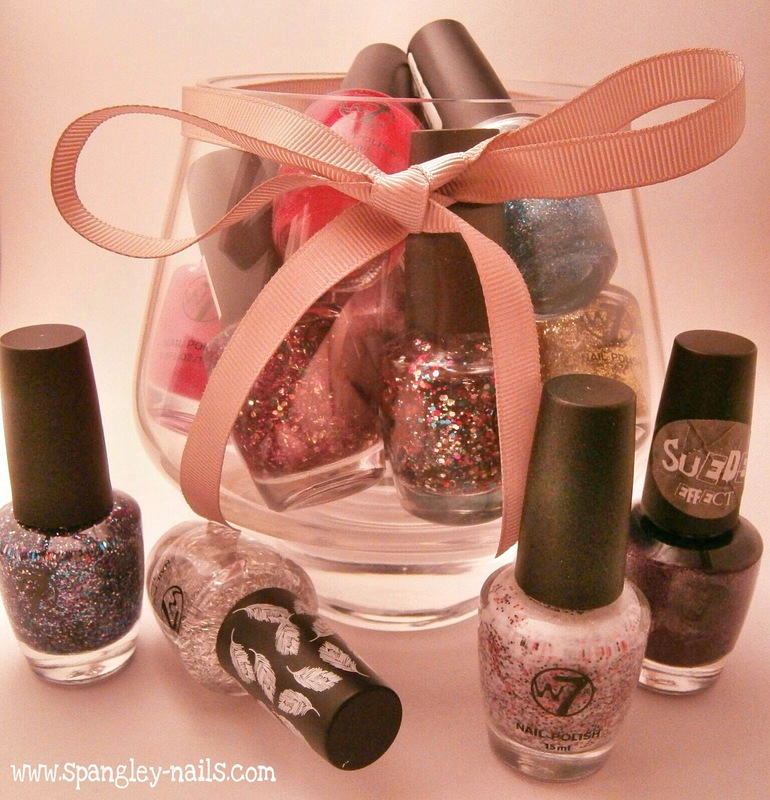 The shades of these polishes are totally unique. You might think you’re getting a red or a blue, but what you’re really getting is a couture custom blended shade with more thought going into the colour than any other brand. Where this brand stands out from the rest is, others can focus on different collections, whereas this one is all about the colour in your bottle. I think that all the effort that goes into these polishes, doubled with the fact the look and last great on your nails too, are well worth the £2.99 price tag. Rimmel London has been in the beauty industry since 1834! Let’s all take a moment to appreciate the 180 year old brand – wow! For being that old though, Rimmel is super up to date and bang on trend by consistently delivering new products, colours, ranges and eye-catching packaging. 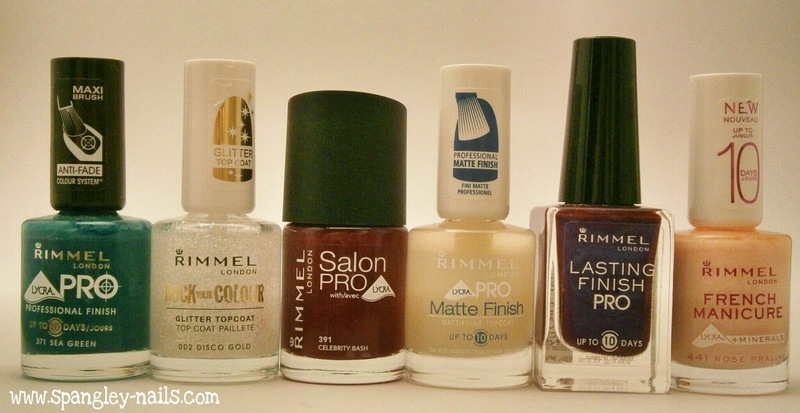 Rimmel is a brand that my nail polish collection has never been without since I started painting my nails as a teenager. 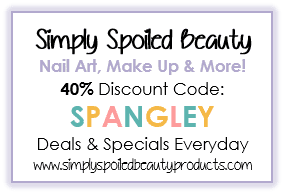 It is extremely easy to come by as it is stocked in all major supermarkets, whether you’re in Sainbury’s, Tesco or Asda you are in the company of a Rimmel stand. On the official Rimmel Website, they retail their 8ml polishes for as little as £2.99. I have to admit, I have rarely paid this amount for Rimmel as I can normally pick them up in most retail stores around the UK – this brand really has established themselves as a best-selling, if not the best-selling British Cosmetic Brand! Rimmel work with big named stars such as Kate Moss and most recently Rita Ora - these girls aren’t going to put their name against something they don’t believe in themselves. 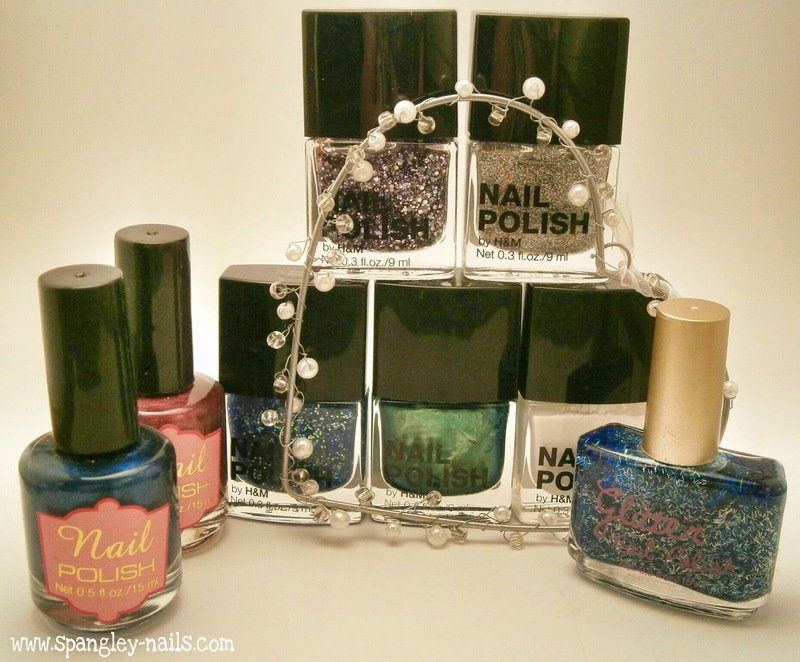 These are just some of the different polishes I own from different collections, there is so many variations on their classic range. From the Salon Range to the Cocktail and Space Dust Collections, there really is something in Rimmel for everybody. 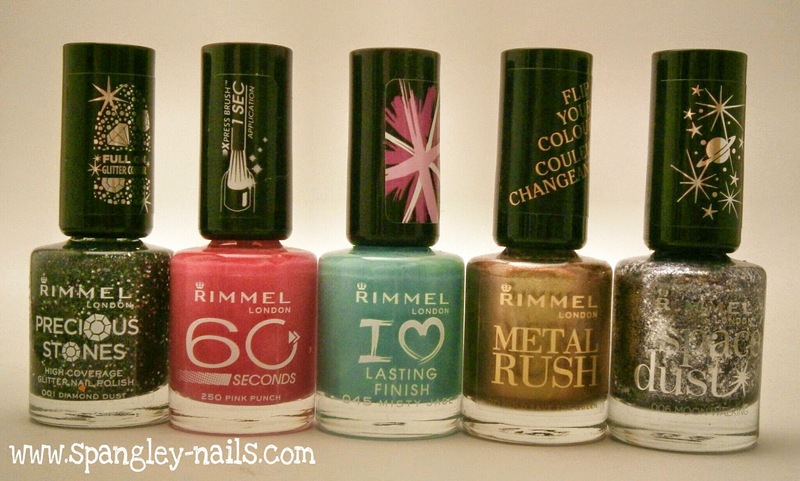 If you are anything like me, I guarantee that you either have owned, do own or will own a Rimmel Polish at some point because this brand will never, ever go out of fashion. A lot of the retail stores have recently brought out their own cosmetic range, not just nail polish most have fully blown make up collections now too. I actually wasn’t aware of this until I spotted a friend wearing “Jo Is In The House” by H&M (pictured top right) I thought, wow. I actually had never seen a colour like it and couldn’t think of anything it could be a dupe for. Isn’t it beautiful? Have you tried any of the above brands? If so, which ones? Did you know of a brand that didn’t make it to this list? Let me know more about it – I love to try new things! Great post! I've never tried MUA but at £1 how can I not pick some up this weekend! Fab post. :) Barry M is one of my favourites, I have so many!